It's been wet weather all the way here in Rome for the last couple of weeks and whilst today has seen some sunshine, the clear skies have brought lower temperatures and there's a distinct chill of winter in the air. 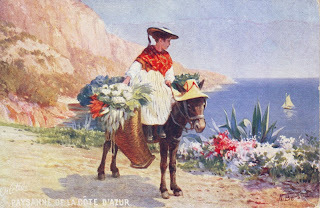 Maybe that's what made me choose this gorgeous summer image of the French Riveria today, which features a Paysanne de la Côte d'Azur (translated literally a Peasant from the Côte d'Azur) in traditional Provencal costume, carrying bunches of flowers in a Provence-style basket and sitting on what is now a dwindling local breed of donkey – the Provence or Migration donkey. I picked up this vintage Raphael Tuck postcard on my last trip back to the UK and was attracted to it instantly, because it was the first time I'd come across a Tuck card that had been issued from the company's Paris offices. 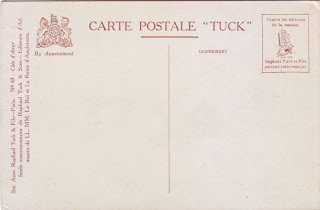 As the company grew, they opened offices in both New York and Paris in 1900 and indeed, the family business is credited as Sté Ame Raphael Tuck & Fils on the reverse of the card. 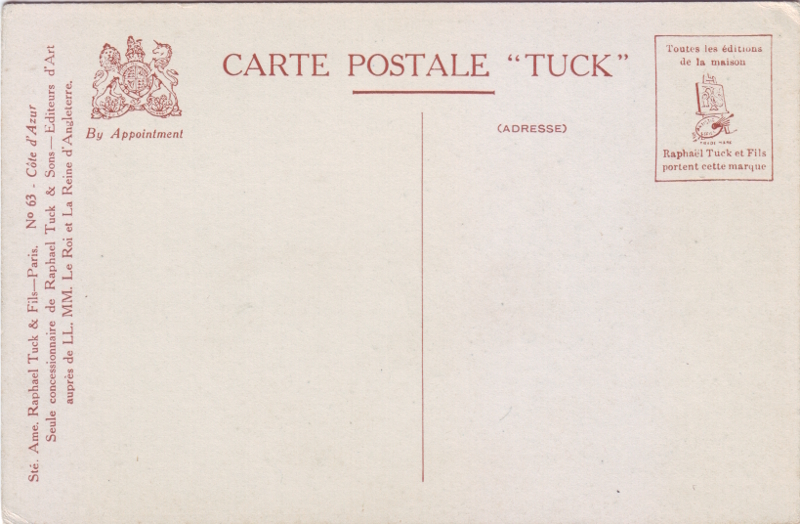 The postcard is uncirculated, but I'm guessing that it was issued in the early part of the last century because this is one of Raphael Tuck & Sons' enormously popular Oilette series – if you look carefully you'll see the Oilette logo in the bottom left corner of the card (although this information is not repeated on the reverse). 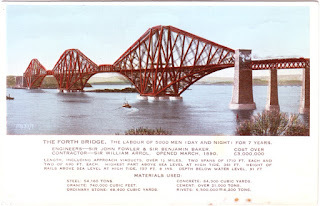 Oilette was a term create by Tuck to distinguish their postcard series that reproduced specially commissioned paintings of popular landmarks or scenes, as opposed to photographic views. Later issues in this series were printed on embossed paper to simulate brush strokes on the surface of a painting, but this particular postcard is completely smooth and printed on rather thick, heavy card. No.63 in the Côte d'Azur series, it is an artist signed view by N. Beraud, clearly a stalwart of the Rapahel Tuck stable of artists as this is a name that appears on not only numerous French postcard views of the time, but everything else from kittens and flowers to soldiers at the front! Whilst I've been able to find a few original paintings by the artist on the Internet, I've been unable to track down any other information as to the identity of this extremely prolific postcard illustrator – was N. Beraud a man or a woman, I wonder? If anybody knows anything more about N. Beraud (or Béraud) please feel free to leave a message below! 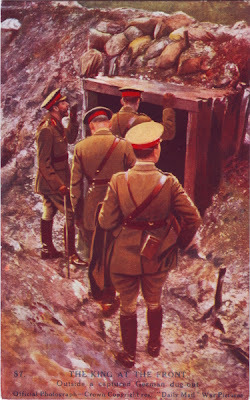 Lest we forget...Today, 11th November, is Remembrance Day, so I thought this image of King George V at the front during the First World War would be a timely post. Issued as No.87 in Series XI (Nos. 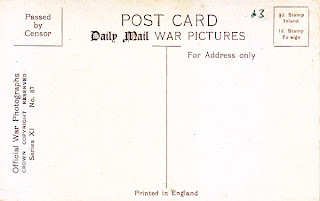 81-88) of the enormously popular official war photographs published in 22 sets of 8 postcards each by the Daily Mail newspaper under Crown Copyright during 1914 – 18, this particular card is typical of the others in its set. Produced exclusively for the British market during the war these postcards obviously tended to emphasise the positive and are mildly propagandist showing battle victories and celebrating fallen soldiers as war heroes. 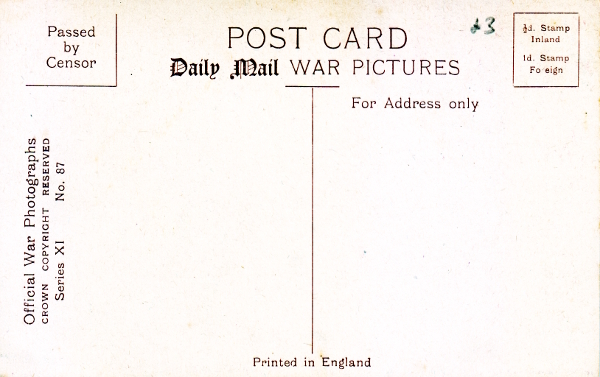 As the back of the card shows, this military postcard had to pass the censor before publication. This image shows the King outside a captured German dug-out, whilst the remaining images in this set were entitled: The Smile of victory; King George and King Albert enjoy an amusing anecdote; A Talk to peasants; The King meets a hospital matron; Attending church service in the field; At the grave of a fallen hero; A Greeting from the troops. 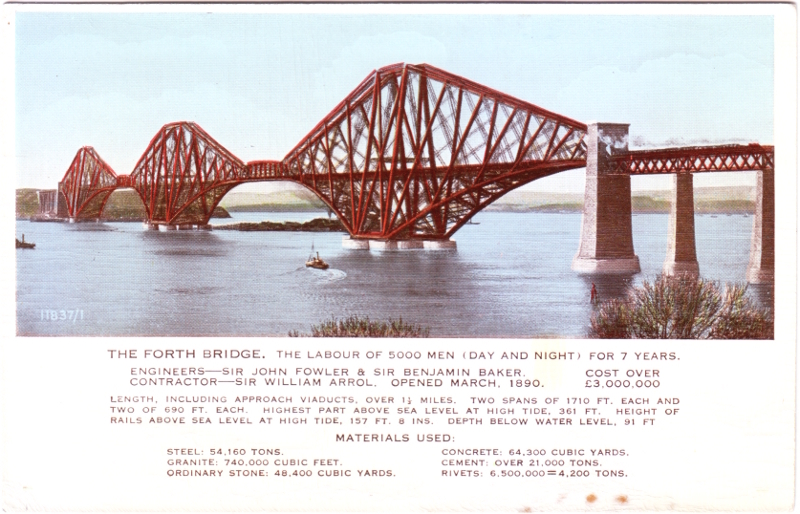 A printed colour postcard, from a hand-tinted back and white photograph, this uncirculated divided back postcard is in pristine condition. A lovely card for the collection, which I picked up on my last trip back home to the UK.